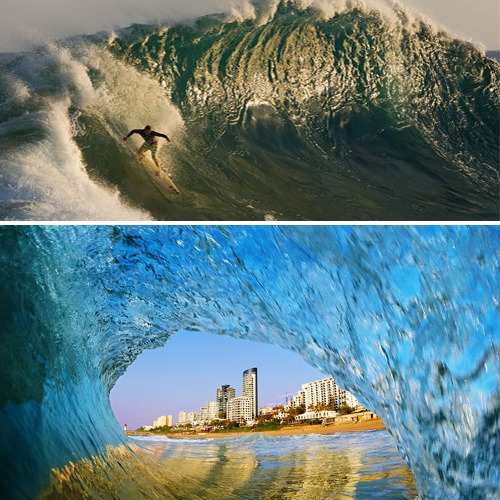 Waves can be at once mesmerizingly beautiful - and terrifying - as these incredible pictures show. They capture waves rolling in beautiful sunlight to form near-perfect tubes. And engulfing lighthouses in a show of mindblowing force. Some daredevil surfers test their derring-do against giant waves, with some of the images here capturing their efforts as they are dwarfed by towering walls of water. Here are a gallery of the most impressive wave scenes.